We’re grateful to Mike for sharing these gems from his family’s collection. These photo’s are not from 1914. Kinmel Camp was not built until early 1915. 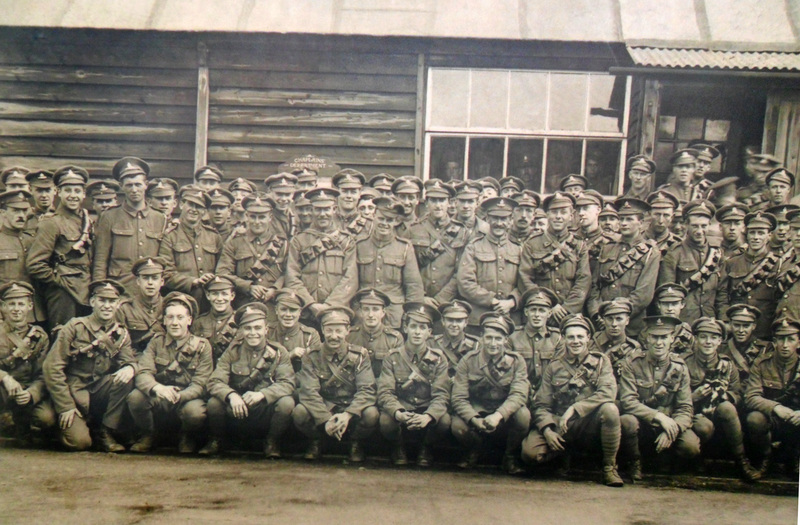 The 24th (Service) Battalion (Oldham) (Pioneers), Manchester Regiment, were formed in October 1914 and moved to Llanfairfechan in March 1915. They did not go to Kinmel. Now, I’m, guessing your grandfather was George E. Madden, Private 47319. This is not a 1914 volunteer number. I’m no expert on that battalion but I’d guess from his service number that he was a conscript (i.e.1916 onwards). He went overseas (and not before 1916 for certain) with the Manchester Regiment but was transferred to the East Yorkshire Regiment as Private 30242. 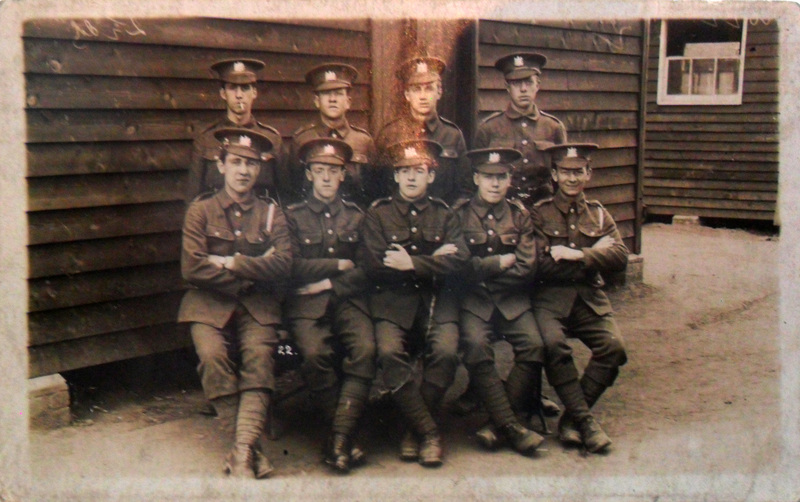 To be more precise, if this is your Grandfather a Kinmel then the photo must really have been taken whilst he was with the 53rd (Young Soldier) Battalion, a training unit which moved there in late 1917. If that is the case then your grandfather was definitely a conscript and did not go overseas until 1918. Of course, if I have the wrong George Madden please tell me and I will try to piece together his story for you.